2800 S. Palm Canyon Dr.
Removes the top layer of dead skin cells, augments cellular growth and aids in the removal of toxins and impurities. Leaves your skin glowing and silky smooth. This aromatic scrub delivers an aroma sensory experience. Your skin emerges velvety-smooth. A creamy blend of Shea Butter, Glycerin, Vitamins and Exotic Extracts sweep away dull skin while enveloping you with the tangy-citrusy scent. Our uplifting creamsicle shea butter with ultra-fine sea salts will gently buff away dead skin cells. We finish with a hydrating massage whip. Escape to the tropics with this refeshing sea salt exfoliation to sweep away dead skin cells. We finish with Coconut Creme Body Souffle. Cocoon the body with these high quality products that detoxify and relax. Each wrap has its own unique benefits. The ultimate in soothing and healing, naturally tightens the skin. We finish with warm Kukui Coconut moisturizer. The natural element of heat delivers a deeper detoxification that helps relieve muscle and joint pain. 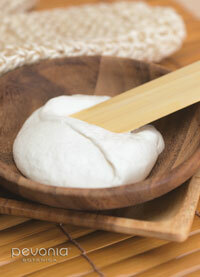 This firming wrap begins with dry Body Brushing to begin the detoxifying process. Your body will then be covered in Espresso Limon Slimming Body Oil infused with hints of Italian Lemon and Moroccan Cinnamon. You leave rejuvenated and refreshed. Firming and brightening, this delightful tropical body wrap counteracts aging, evens skin tone and delivers invigorating and toning benefits.